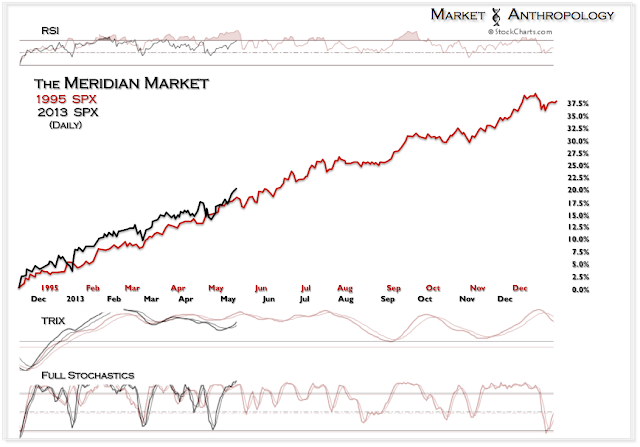 Rational or irrational, the equity markets broke through our long-term meridian in March and have yet to look back. 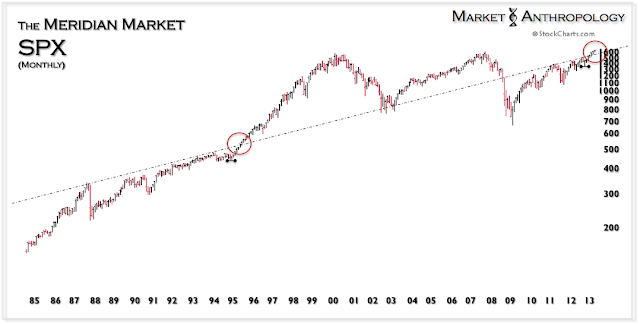 Sizing up the last time the SPX broke through in 1995 and ushered in the age of Irrational Exuberance - the current market has taken on a very similar performance trajectory. While we continue to remain suspect of the equity markets perennial bid and find greater intuition in the commodity and currency markets - it is what it is - until proven otherwise.